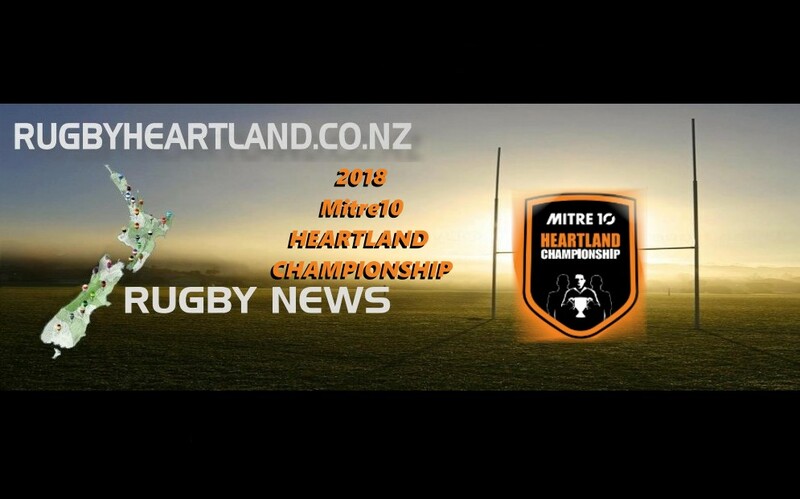 A fascinating struggle should be played out over the final two rounds of the Mitre 10 Heartland competition with four teams in the hunt for three qualifying positions. 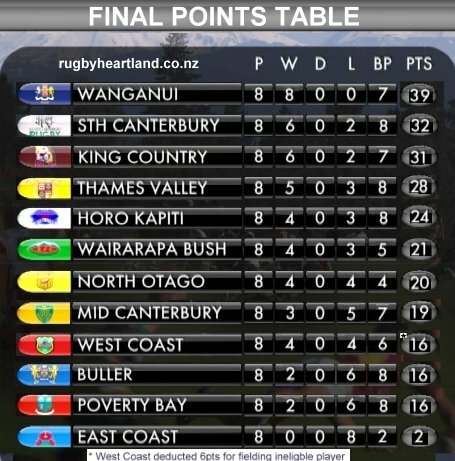 Wanganui heads the table, out on its own on 29 points. It confirmed that position with a 45-14 win over Buller in the river city on Saturday. 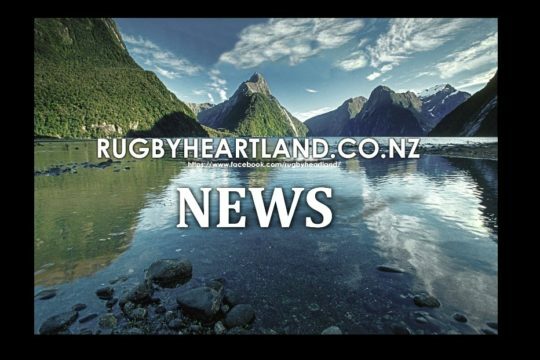 South Canterbury’s loss 24-27 away to Wairarapa Bush proved costly as it was pulled back to the bunch. 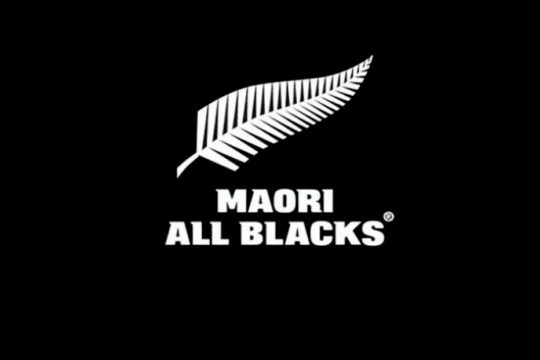 Epeli Rayaqayaqa scored twice for the Masterton-based side and while both sides scored four tries apiece, the goal-kicking boot of Glen Walter made the difference. Thames Valley’s impressive run continued with a 37-34 away to Poverty Bay, including a penalty try, and that lifted them to a share of second place on 22 points. 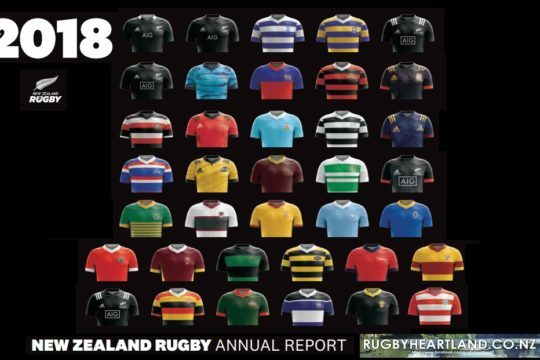 Horowhenua Kapiti joined them after their 36-30 win over King Country, who also slipped a point behind to fifth position, one point behind the others. 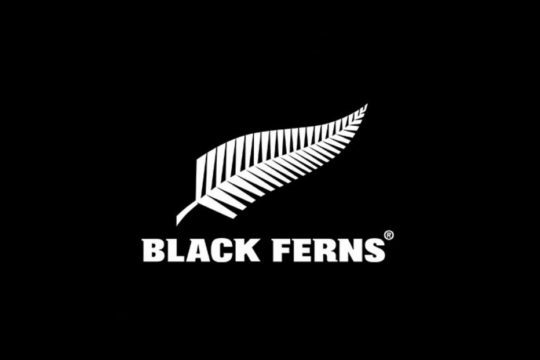 Aaron Lahmert scored two tries for the home team in Paraparaumu while James So’oialo landed 11 points with four conversions and a penalty goal. 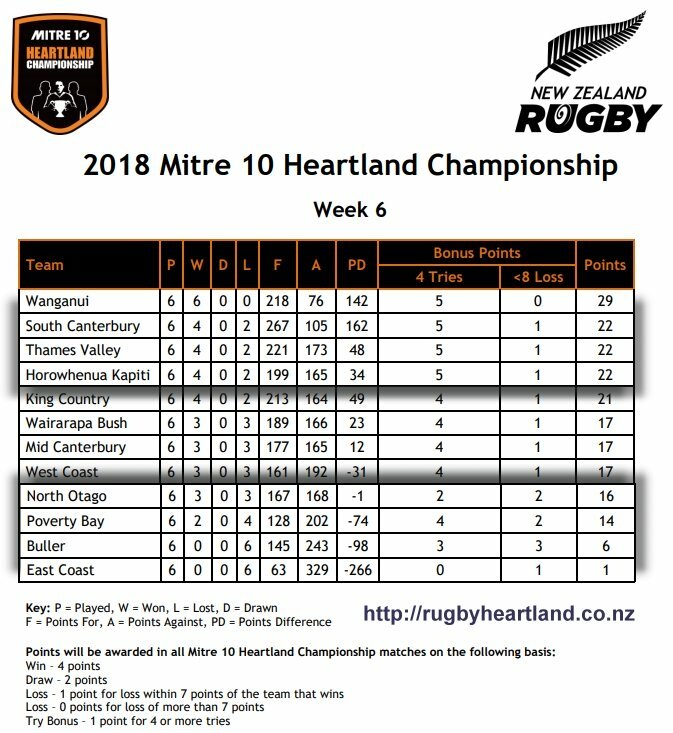 Further down the table, Wairarapa Bush, Mid Canterbury and West Coast share 17 points with North Otago one point back on 16. A key game next week will see Thames Valley host Horowhenua Kapiti in a key game for the top four to contest the Meads Cup playoffs. 24 South Canterbury (Rico Syme, Marac Beckham, Kalavini Leatigaga, Setefano Sauqaqa tries; Willie Wright 2 con).